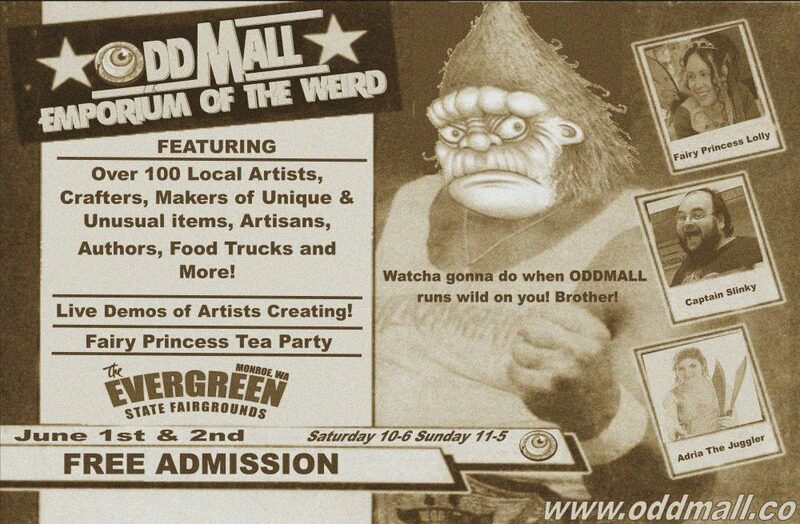 I would like to personally thank all of the amazing artists and vendors who participated in Oddmall this weekend. You are truly what makes Oddmall a success. This was our biggest and best show yet! I would also like to thank all of the volunteers who helped with the show, and a big thank you to all of the shoppers who came to support local artists at Oddmall this weekend. Oddmall Emporium of the Weird PNW returns to the Holiday Inn Hotel Downtown-Everett on June 4 & 5, 2016. Keep an eye on the official event page for that show for all of the details.